Will Poly Guard and Repelin effect patching of inflatable? We have used your above products on our older inflatable which is at the ready in salt water year round, it worked so well we are applying it to our brand new inflatable prior to launch. My question is: If I have to make a repair by applying a glued on patch to the inflatable tubes and it has the Poly Guard & Repelin applied, how do I remove this protective coating? 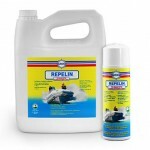 Thanks for your confidence in Poly Guard and Repelin can be stripped with Speed Clean if ever you need to make a repair to your boat. 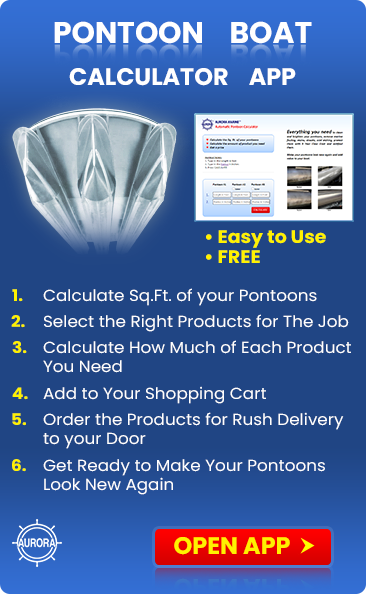 Use a Marine Power Mitt with the Speed Clean to reduce labor. 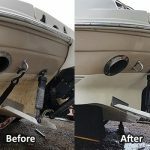 We also recommend that you strip the entire boat once a year to prevent build up and remove any deteriorated material. Then re-apply a fresh coat of Poly Guard and Repelin. 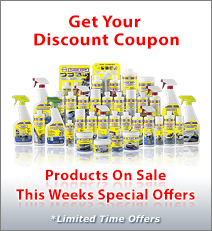 This insures that the surface of your boat has maximum protection. Scheduled annual maintenance will keep your boat looking new and significantly reduce regular maintenance. It can double your boats effective life and a clean shiny boat shows your pride. If your boat is a RIB, use Sure Step on the deck to protect it from UV, dirt, stains and water penetration plus add a degree of safety as it will reduce slipping, even when the decks are wet. 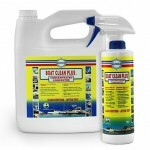 This will also eliminate the need for constant scrubbing to keep your boat ship shape.